His scars are visible.Hers are hidden...An Indiana Amish Brides matchAfter tragedy claimed her husband's life and her son's ability to walk, Hannah King doesn't want a new man. She has her family, a home and mounting debts. 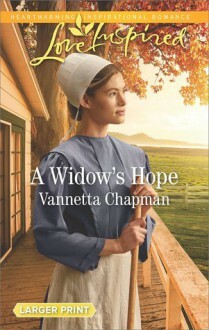 Scarred Amish bachelor Jacob Schrock offers Hannah the job she desperately needs. But while Hannah helps Jacob resolve his accounting issues, can she and her little boy also heal his wounded heart?